In today’s “attention economy”, destination marketers and tourism stakeholders struggle mightily to gain visitor visibility for their community or their brand. Bigger, bolder, broader are not only more expensive when it comes to traditional marketing, they are increasingly less effective when it comes to engaging with a prospective visitor. In short, those sacred cows of traditional destination marketing don’t work any more. If your marketing messages and/or content are not getting the desired impact with your audience, the answer is to collaborate with someone whose messages do. That entity is an “influencer”. Typically they are organic content creators with a credible social media presence (an engaged following) on multiple platforms with key target audiences for your tourism destination or brand. 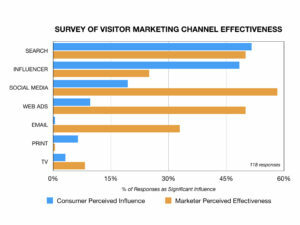 Reality check: visitors no longer trust traditional brand marketing messages for information. Even review sites like TripAdvisor are getting scorched for alleged phony reviews. Visitors want credible and compelling content from a real person – they don’t even need to know them. This is all about trust. And let’s face it, as destination marketers we turned email and social media into weapons of attention destruction. Why would visitors trust us? 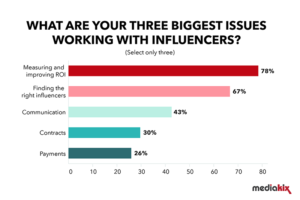 In our Screenshot survey, almost 50% of consumers told us that travel influencers and content creators were significantly influential in their travel decisions. By comparison, fewer than 10% of consumers perceived that each of web, print, TV and email marketing were significantly influential. Time to get in the game. 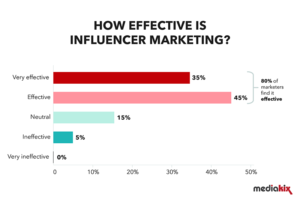 If you’ve got an up-to-date marketing plan that includes key messages for your key audiences, you’re ready to get in the influencer marketing game. The first, and most critical step is to identify and qualify influencers. 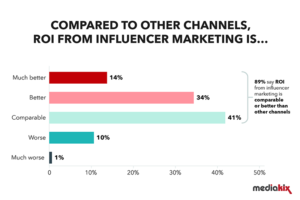 67% of marketers (per Mediakix) struggle to find credible influencers. Even though there are agencies and platforms that specialize in indentification and qualification, it remains a significant barrier. An even more acute challenge is measuring and managing ROI/performance. As tourism marketing becomes increasingly data-driven, this is an imperative. At the same time, influencers cite a lack of understanding by tourism stakeholders on how to effectively partner on content development. A good starting point is to search out bloggers and photographers in your own backyard through social media. They have the credibility (because they are local) and are more readily accessible. While their distribution network will certainly vary, a DMO or tourism brand can utilize their respective network to distribute/share the influencer content – building engagement for the influencer and the destination/brand in the process.. And so begins a collaborative influencer relationship. 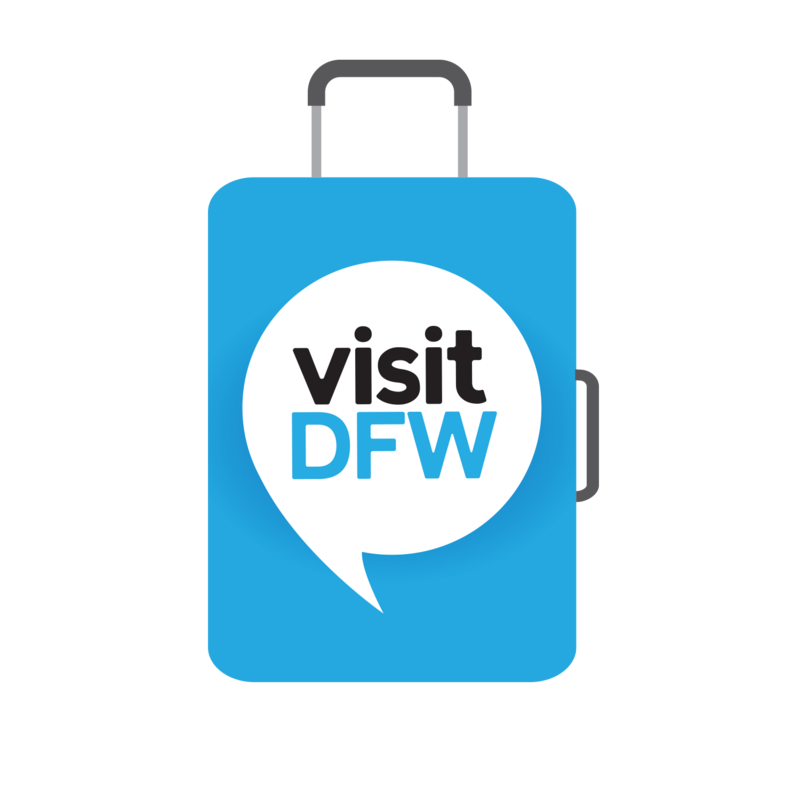 This is why VisitDFW and its partners created Travel IdeaFest – to build collaboration and understanding between tourism marketers and travel influencers/content creators that deliver business results for both. Sign-up here to get regular updates on Travel IdeaFest and influencer marketing.